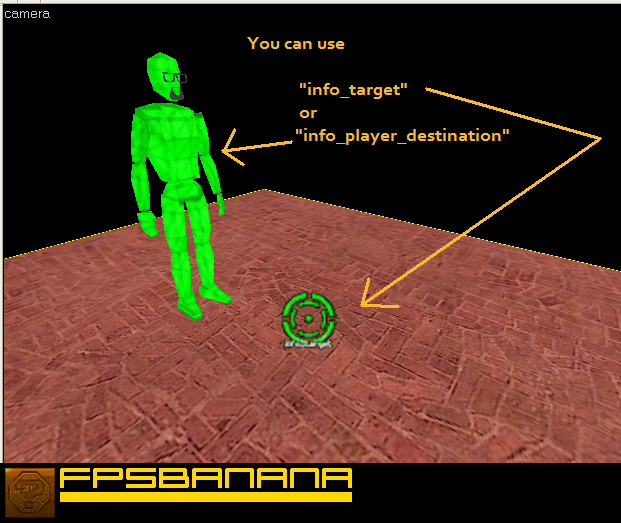 Ok so to make teleports, all you really need is a brush and an entity. 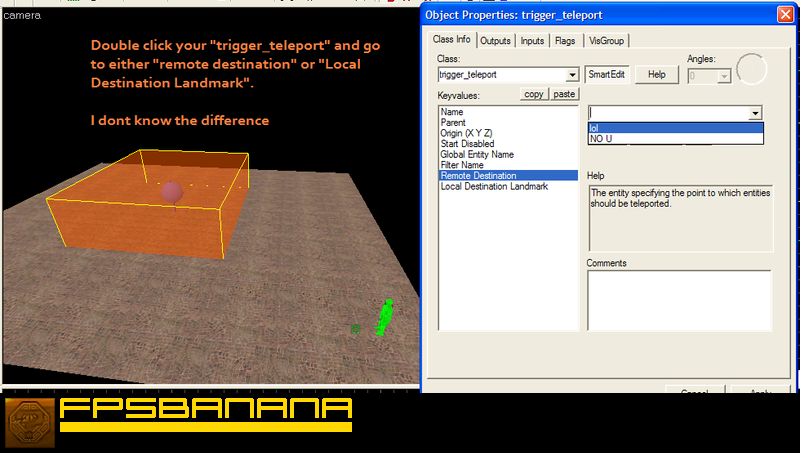 So to start, go to the place you want to teleport from and make a box with the trigger texture, then select it and press CTRL + T and tie it to trigger_teleport. 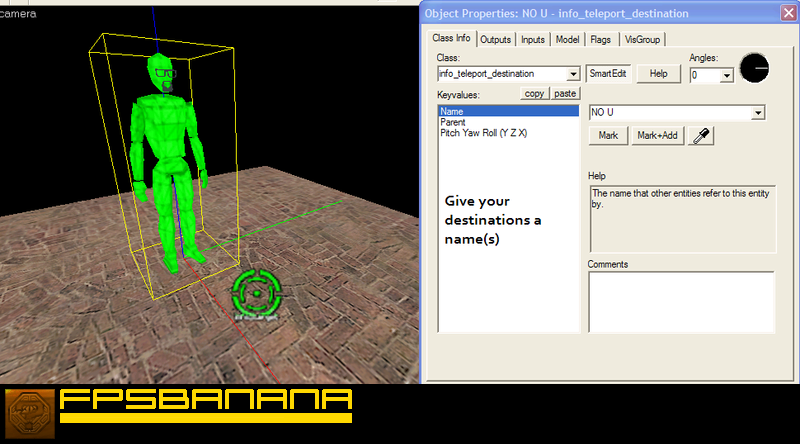 Screenshot: Now go over to where you want to teleport to and create an entity called info\_teleport\_destination, select it and press Alt + Enter to bring up the properties and give it a name such as "teleport1" or "end". 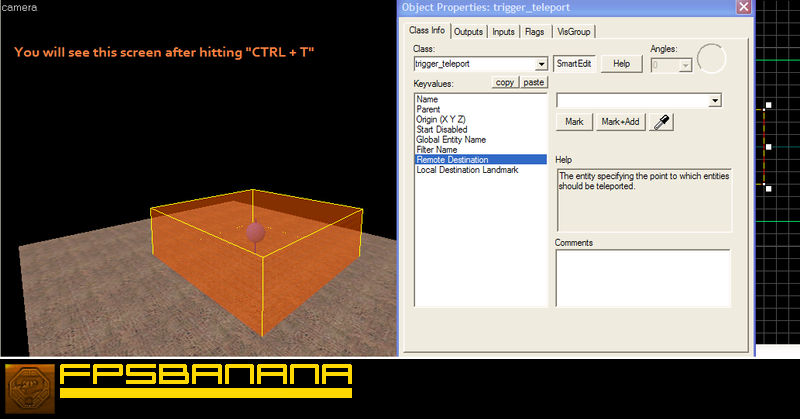 Screenshot: Now go back to the box you made, select it and press ALT + Enter to bring up properties, click on remote destination and select what ever you named your info_teleport_destination (Look at screenshot). I have a problem, when someone takes the teleport they get stuck and cant move and if the move they die... Can someone help me?